This what your sovajkjewellery Blog Ad will look like to visitors! Of course you will want to use keywords and ad targeting to get the most out of your ad campaign! So purchase an ad space today before there all gone! 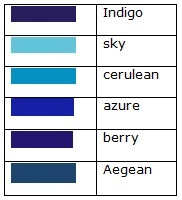 it’s a fact that colour forms part of the way we feel, read the psychology behind the mood colour bracelet and the effect on our feelings. 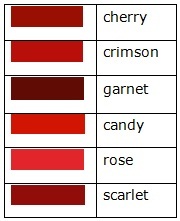 Colours often have different meanings in various cultures, but the affect everyone has to specific colours are almost the same. 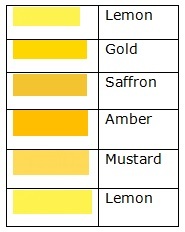 just by changing colour of clothes, or jewellery such as mood colour bracelets, you psychologically contribute to engaging change to your mood swing. 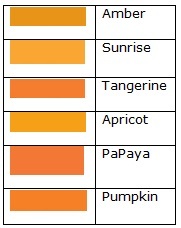 Different colours have an effect on everyone. If you have a round figure face, the tendency will be to wear earrings that are long can to elongate your face and minimize an appearance that is not complimentary by choosing dangle style earrings, emphasis will be made on shape, that is as long as you don’t choose rounded designs, you will do great at forming a balanced shape to your face and set off your jewellery nicely with your outfit. Women having a long, narrow face should wear studs or post earrings can create a break in the length of the face by some movement earrings that will give more softness to the outline of your cheekbones. Women with square faces should choose earrings with rounded designs that soften the outline of the cheekbones and jaw line. 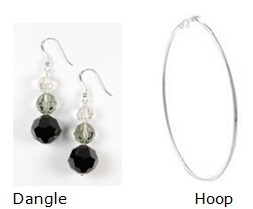 The best idea is either elongated dangling or hooped earrings. To further draw out the softness from the jaw line, try large hoops that will give a softer look and take any spotlight from your jaw line. 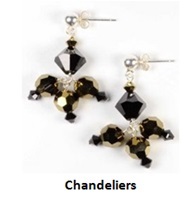 Women when choosing earrings for a heart-shaped face will look particularly good in chandelier style earrings. Wearing diamond feature earrings balances and deflects the eye from the jaw line, giving a soft and even interesting contrast to the face. 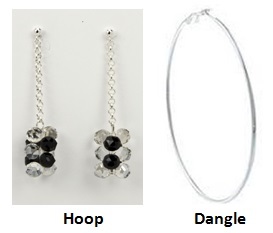 Women with a diamond-shaped face should look for earrings that are long and curved such as dangle or hoop earrings. By adding curves to the face line this will flatter the overall shape dimension of a diamond shape face. 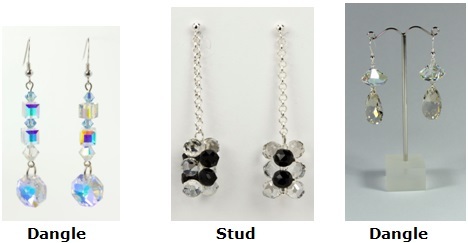 Women with oval-shaped faces look good in almost every style of earrings. However, one of the best overall earrings for an oval contour face that will accentuate to give a nice balance of symmetry would be the wearing of tear drop earrings. Triangle shaped women need to pay attention not to choose shape earring jewellery that will not help in reducing the acute angle to the jawbone. 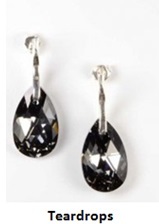 Wear long narrow dangles to create more length, choose heart-shaped dangling earrings to rebalance the face symmetry. Soft, choppy styles such as layers cut around the cheeks work better for round faces than pin-straight, flat or sleek styles do. Layers that fall just around the cheekbones will shade them and cause the face to look narrower. Volume on top of the crown will create a domed look that adds height and thus elongates the roundness of the face. Typical for a long face is a long and narrow bone structure. Women with a long facial shape frequently have a long thin neck also. With a long face shape you will need short to medium length hairstyles. A wedge hairstyle is a good idea. Use fringe bangs to cover your forehead and thus make your face look less long. You need some fullness at the sides to make it look wider. Use curls or soft waves. Layered haircuts work well with these face shape. Avoid long hairdos as it would make your face look even longer. Hair longer than shoulder length will not look good at all. Square faces need to avoid short crops, symmetry, or anything geometric which will enhance your face shape; instead, go for soft curves which will soften the severity of the square jaw line. If you can get a slightly voluminous point at the crown, this will also detract from the square outline. Light, wispy, see-through bangs can also soften the features. Stay away from blunt cuts and hard, sleek lines as these will exaggerate the square shape. A cut with soft curves, slight fringe bangs would be best for this face type. Faces that is narrow at the bottom and wide at the top need a cut that hides the hairline with graduated bangs and a choppy style that flips out on the ends. When the hair turns outwards rather than inwards, it equalizes the shape by giving volume around the narrow bottom of the face. If, on the other hand, your face is an upside-down heart (narrow at the top, heavier at the jaw) make sure there is fullness at the top of the head instead to balance out the chin. Shape widest at the cheekbones, & narrow equally at the forehead & jaw line. 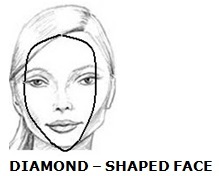 A diamond face shape can also carry any style. Curve linear shape. Length is equal to one and a half times width, with forehead and jaw the same width. 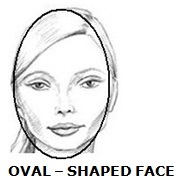 So think of the oval face shape as an egg. A dominant jaw line that tapers or narrows toward the cheekbones & temples. 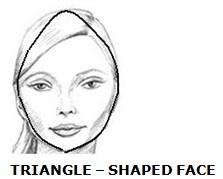 A triangle face is similar to a heart shape, but with corners & angles. 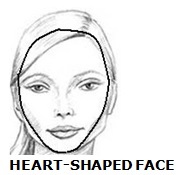 You can match the angles of your face for impact or counterbalance them for softness. 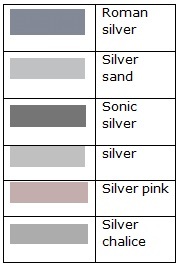 Avoid necklaces that end with a point. As mentioned you will really need to get all the information from magazines and internet site pictures, to give you a better picture of what will suit your face shape. Of course you will be delving in the unknown as some of you have over the years stayed faithful to what you have been used to, so doing this may feel foreign. But hey let’s make some changes and inject a sense of adventure to enhance you as a women and to compliment your new change clothing style. 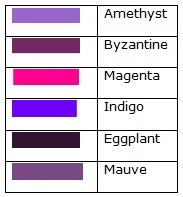 Gemstones have been a sacred and meaningful to mankind since its discovery. Even as early as the time of the caveman, they picked up on these special interesting stones and wore them as part of their culture tribal wear. There is something mysterious, so mesmerising, so enchanting about these stones that provide us with a sense of mystic’s power and for that reason we are intensely attracted by them. We have highlighted the most popular and the most talked about gemstone crystals mentioned mostly amongst all manner of religious and ancient cultures and tribes throughout the world and throughout the ages of time. The properties and symbolism they represent when we seek about their healing power, makes them the most sort after remedy we all seek to help aid all manner of sickness we suffer with. 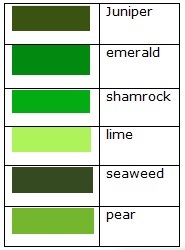 Emerald helps in such disorders of the body major organs such as the heart, lungs and also the lumbar and muscular system, also helps in the healing of nose, eyes conditions and also aids recovery after an infectious disease. Wedding day ideas are covered by many resources around, so no point in trying to re-inventing the wheel! All I can do is observe and report my ideals and trends that seem to seep into the fabric of our lives, visually by the media or the celebrities whether being photographed at a special event, red carpet, music awards, or a charity event. Jewellery is a really important part of your whole dressing up routine, whether a wedding day event or a christening. The look and style you need to get it right, as bridesmaid careful thoughts are made to not over dress as to undermine the bride. But you still need to represent yourself at an event so as to showcase yourself in a respectful but stylish way. Finding the perfect jewellery and dresses are hard, but I hope to show some ideas that will reflect you in a different light and style to those that will see your first impression as the highlights of an event you have been invited too starts. Get some ideas from my showcasing of handicraft jewellery and Occasion wear dresses, whether you are the mother of the bride, brides maid, guest or family it’s nice to be able to give ideas of what to wear, it’s time to step away from being part of the crowd to get a stronger feeling of self esteem gained by having something different that no one has, well OK it seems a little vain, but surely that is acceptable within reason right! Milan catwalk 2015 Emporia Armani showed with his collection splashes of metallic at pant hems, and in stripes as well as, blue tortoiseshell generated a fresh sensibility that brought the collection from day to night, this has shown that 2015 as well as prominent fabric also showing up within clothes lines of the catwalks in London and Paris, sued, denim and metallic sheen fabric are trending the fashion scene this year. 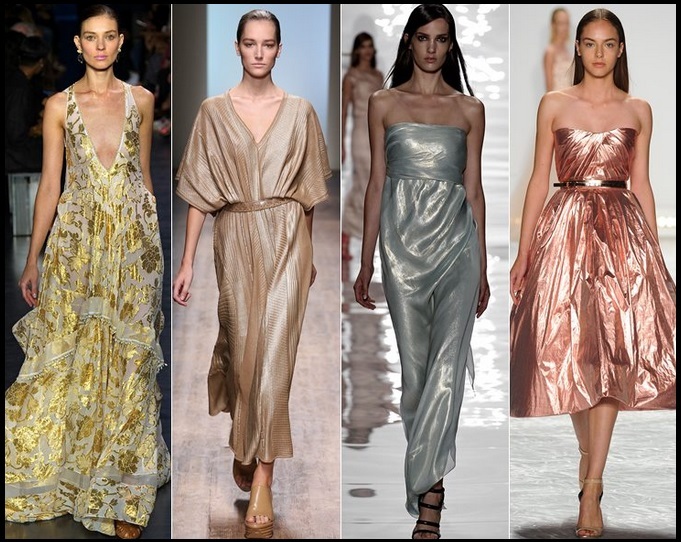 Polished satin in golden and metallic iridescent shades or shiny jacquard woven designs are embellished with rhinestones, sequins or metallic sparkle; jacquards, brocades and shot-silk fabrics glow in jewel-rich shades. My Occasion Evening Wear Clothing are Unique in style have been created and designed in-house in the UK by Sovacollection, I have been fortunate in having a profession photographer who has been able to help me showcase my products through photo shoots. If you are the owner of sovajkjewellery, or someone who enjoys this blog why not upgrade it to a Featured Listing or Permanent Listing?